I am a quiet fan of the TV series Ripper Street, based around the Whitechapel area in Victorian times. Modern East London is still a buzzing mix of cultures and nationalities but there aren’t many people swishing around in long skirts or wearing bowler hats. But what is still visible is the amazing stone-fronted buildings that survived the blitz and provide the back drop to hip and edgy art. 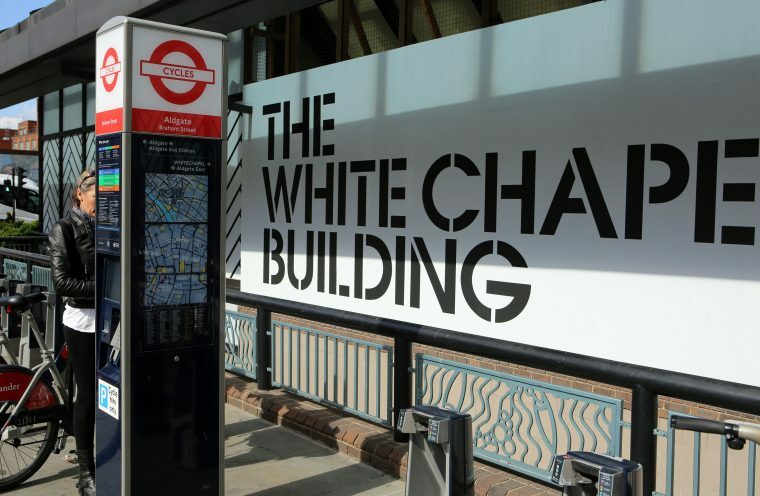 Thus though the suggested start of the East London cycle route is Spitalfields Market, I made a slight adjustment and would definitely recommend starting at Whitechapel Gallery, a free to enter exhibition space less than a minute walk from Aldgate East tube and close to two sets of Santander bike stands. From there grab yourself a bike and either cycle up to Spitalfields or along Brick Lane, past the eclectic mix of curry houses, edgy vintage shops, the Truman Brewery and my favourite food place in London, Brick Lane bagel shop – I have bought bagels from here just before midnight on New Year’s eve, to share with friends whilst standing on the Tate Bridge to watch the fireworks. 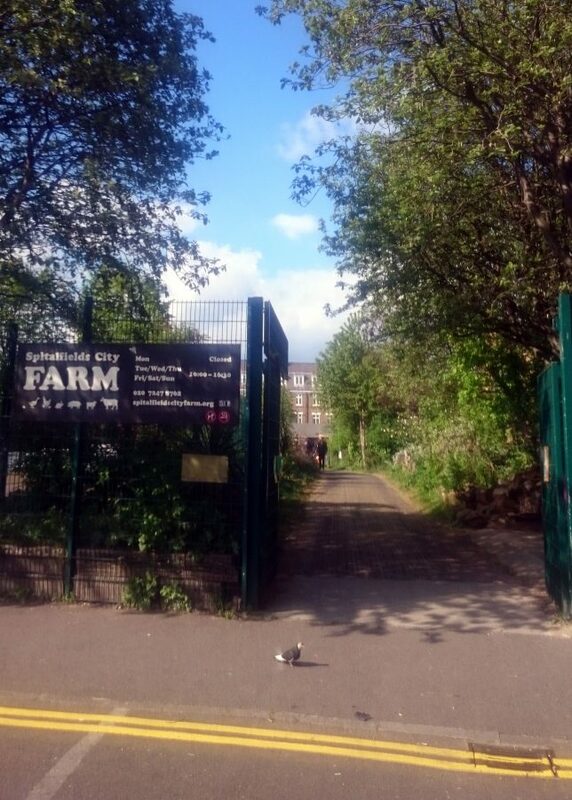 On Sunday the road is lined with stalls and if you want to take a break away from the hub bub and perhaps have a younger person in tow, I would recommend taking a small detour and a wander round Spitalfields Farm – yes there are sheep in the East End of London. 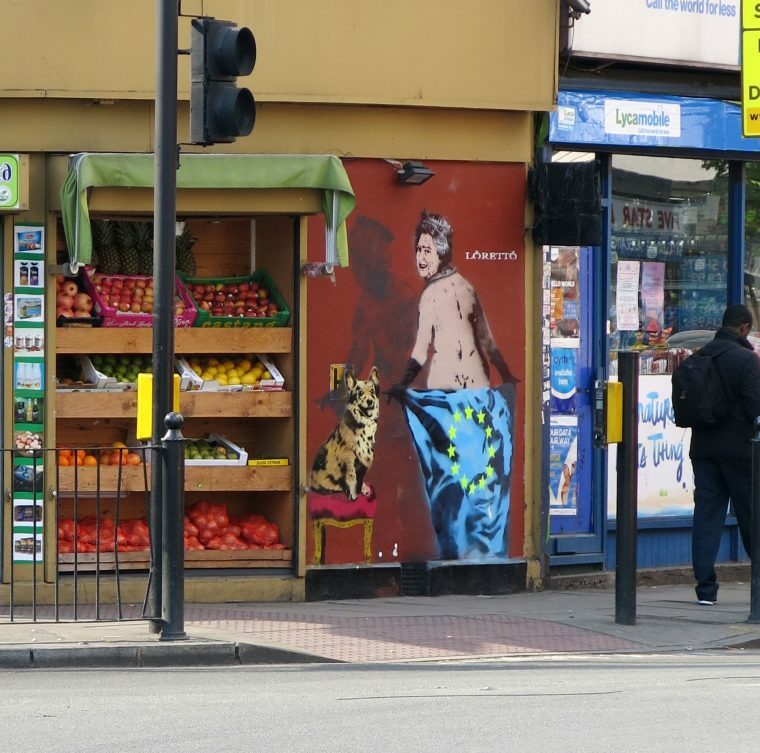 Cycling across Bethnal Green Road, but still on Brick Lane, take in the local art and weave your way through the housing estate to reach Columbia Road, which on Sunday is a mass of colour and smells for the weekly flower market. On Saturday it has a slow paced village atmosphere, a place to chill out from the bustle of central London. East enders don’t take themselves too seriously and have a penchant for old school, so it’s a great area for vinyl fans and for the odd pun at the expense of a well-known fan of Santander bikes – a Boris bag anyone? Passing under the railway bridge on Hackney road, you are treated to more irreverent art. 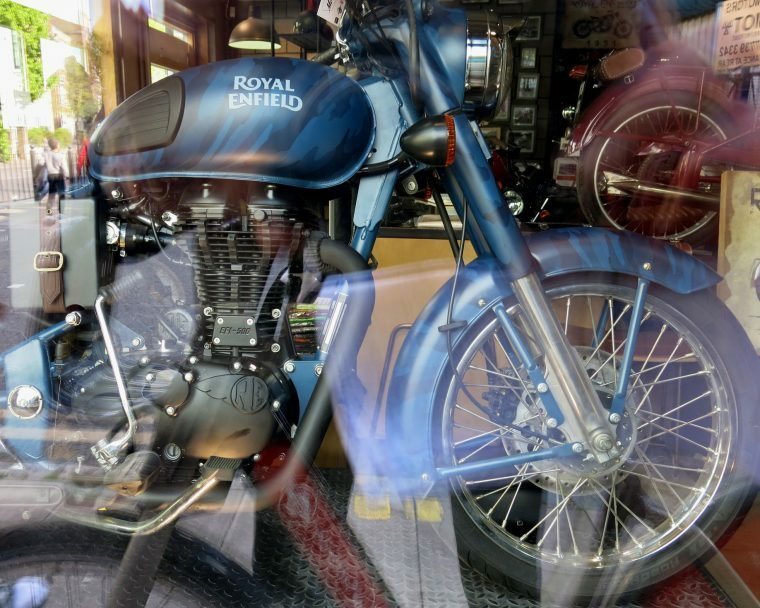 Turn right and within a few hundred yards is a classic motorbike fans haven as a wide range of Royal Enfield motorbikes, as well as lesser-known machines, are displayed in TTT Motorcycles. Once the inner café racer in you has been satisfied it’s just a short hop to The Museum of Childhood, a stunning building, with classical panels on the upper outside walls, and a mosaic floor made of marble, which indicates the money the Victorians invested in ‘recreational education’. Travelling along Old Ford Road, lined with beautiful late Georgian and early Victorian houses, which belie the architecture normally associated with the East End, you feel you could be in Fulham. 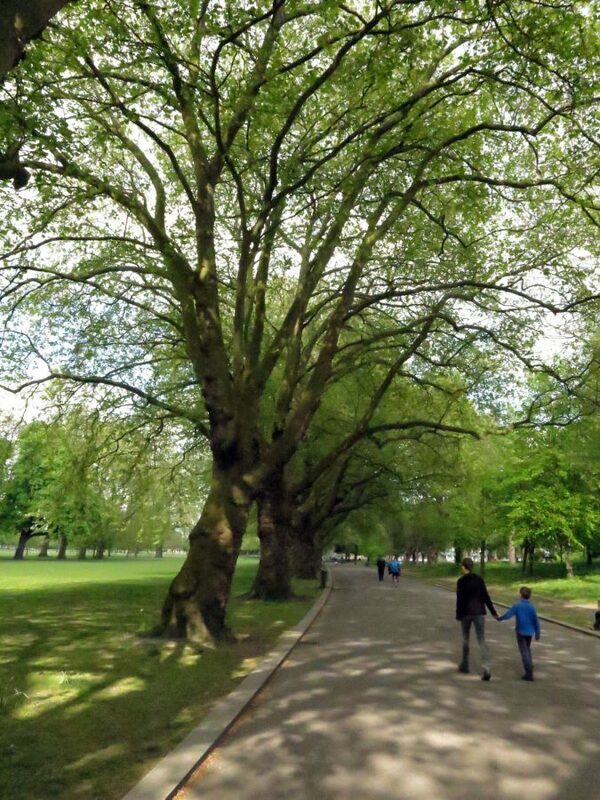 Then on into Victoria Park. Nip in through the first gate and cycle under the trees, along the wide shared paths. Carry on the tarmac ring, alongside the canal and then just as the road starts to bend away hop over the lock. 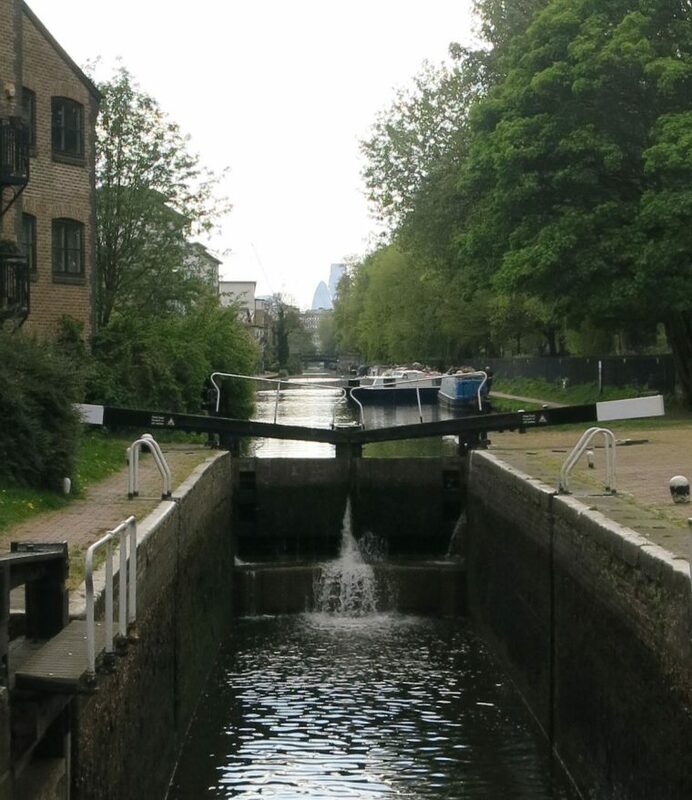 The view here epitomises the ride, with the Gherkin and Nat West Tower towering on the horizon, directly behind the straight canal. The old and the new. Both feats of engineering. I veered away from the canal – you can follow it under the A12 to end the ride at the Craft Brewery – as I had to deposit the bike at the stand on the Old Ford Road, just before the A12, to walk into the Olympic Park. 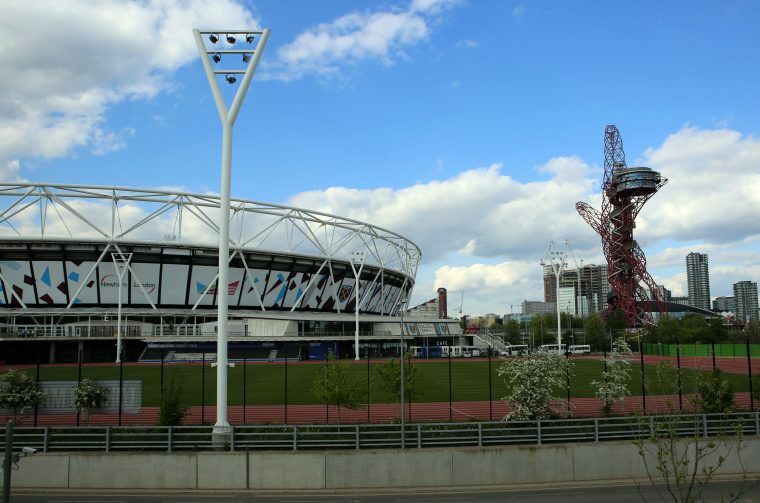 It seems strange but there are very few Santander stands in the Olympic Park and they were only introduced last year. If you do make it to the brewery there is a stand just over the canal bridge on Wyke Road. If you want to hire bikes for longer rides in the Olympic park, there are several local bike shops and the Viewing Tower, a coffee and arts centre, which hire them out. I hadn’t considered that West Ham is now based at the London Stadium and would be playing! I arrived just as the match finished and the crowds started to leave. I’ve never been part of a football crowd so it was interesting to see how well managed the exodus was. 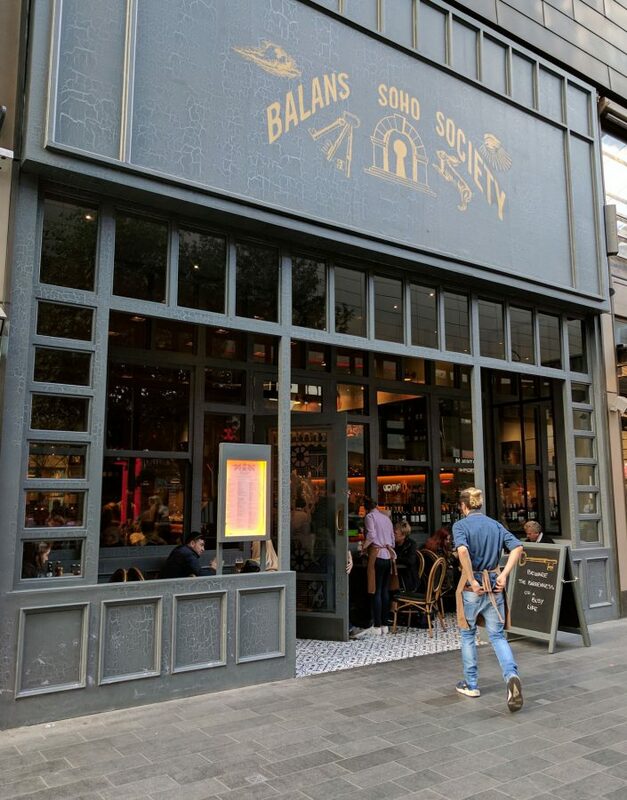 I walked with the crowd to Stratford, and the Westfield shopping centre, where there is a hidden gem of a bar – Balans Soho Society, part of a chain but unique because of the staff. Here they obviously have fun and are well known by ‘locals’. Whilst waiting for the West Ham crowds to die down a little it was a great place to chat over a well-earned early evening drink. From Stratford, it’s possible to take the DLR back into central London, or in my case the Central line tube in order to connect with the circle and west London trains. A good family route covering all age ranges. Disclosure: Expedia very kindly offered to pay my expenses for the day to test a couple of their cycle routes across London. All content is editorially given. I’ve (still) never been to London but this seems like a great way to visit when I finally do get there. Your photos are awesome. I love street art so that part really stood out to me. Sounds like a fab route to cycle, thanks for sharing! I’ve not spent much time on the East end of London, though would love to spend more time so I can explore. It’s such a huge city with so many areas to discover and spend time! Everytime I visit London I see bike stands placed strategically around the city and have always thought that it would be a great way to get around. Have to get back soon! I have never seen cycling as a suggested way to see London, and I think I would love it! It sounds like you can see so many interesting things along the bike trails. I’d especially love cycling past historical homes and through the beautiful parks. Definitely a different way to see the city! Cycling around London is always so much fun. I couldn’t imagine a better way to see Spitafields market and surrounding area. I think that exploring a city by bike is always a great idea and I would love to do so in this part of London. Fun bikes! Looks like a cool way to explore. Funny that you mention the sheep. As an American, i get thrilled and start taking dozens of photos with every sheep or flock that I see in the UK. What a great way to explore London. By doing it on a bike, you seem to have found some really interesting places you might have missed otherwise. And what a great way to stay fit too! I agree…it’s pretty amazing that so much survived the blitz in London and reading your post makes me want to go more and explore the city. I am usually on foot, but cycling certainly seems to be a great option in London…. First off, I didnt know that there were sheep in the east of london lol I really need to learn how to ride a bike so I can do this journey because it sounds like fun! Wow, this seems like a great way to get around and see a side of London I haven’t seen yet! We mostly used the tube last time we were there but I love getting out and exploring the city by bike or foot! We totally have to do this!